I made a special frame in red for my friend as a surprise wedding gift. 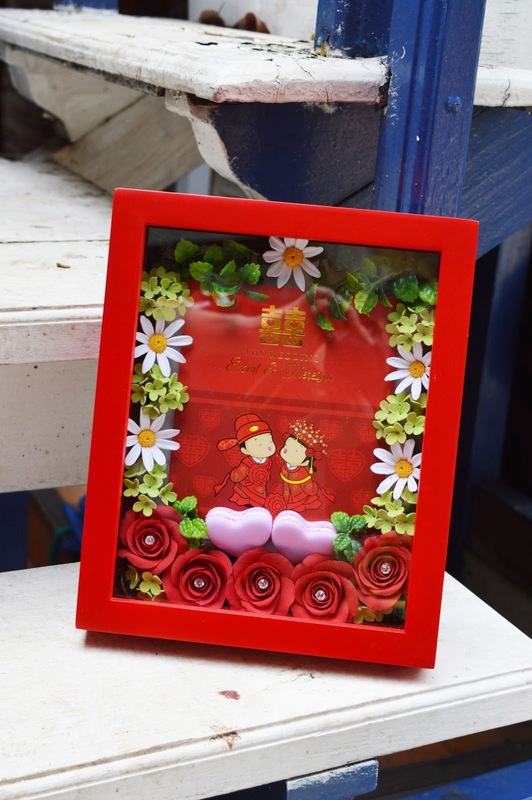 I chose red because his invitation was in chinese style red color, a very brilliant happy colour. I made red roses, white daisies to add some contrast and bunch of green mini hydrangeas. I cut the invitation card to fit in the frame and arranged all my handmade flowers around it. I was so excited to meet him to see his reaction on seeing this present, but unfortunately I fell ill on that day (T_T) I missed the party. Only my husband was going and I heard my friend was singing on his big day. Remembering that he was quite a shy man and on his big day he stood on the big stage and sang for more than 400 audiences was a must to witness. Anyway...Happy Wedding Dear Friend!!! 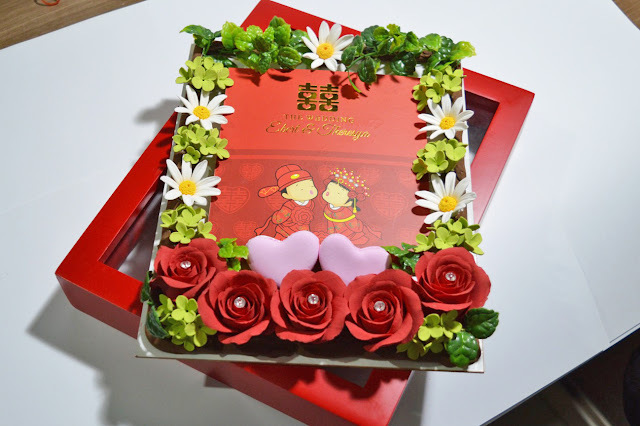 Wish you a blissful happy marriage life \(^o^)/ Cheers!! 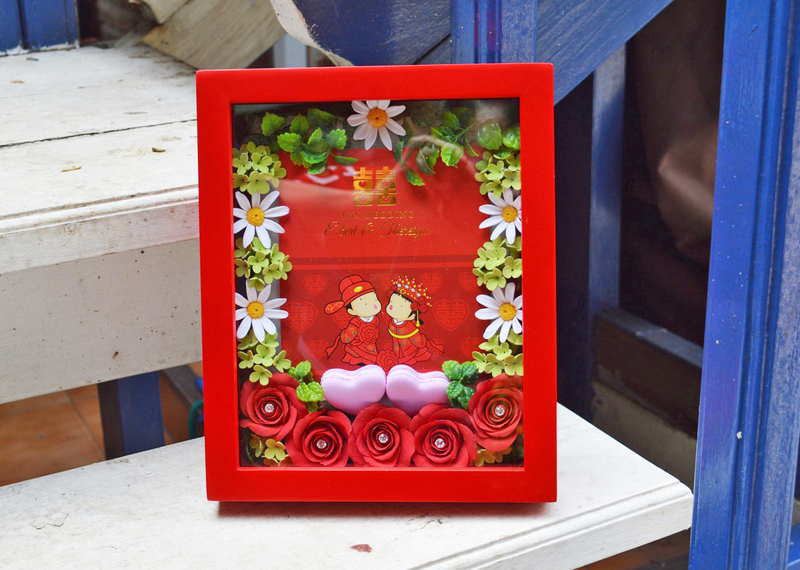 Cute frame and flowers on it are amazingly fascinating. My sister is also organizing a reception party for her brother in law in a couple of months. Will suggest these frames as souvenirs or favors. One of the famous wedding venues is already booked with quality caterers and bakers. Chocolate cookies are tried and tested from same place.